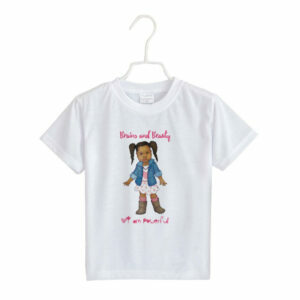 Brains and Beauty Dolls was created to inspire little girls all over the world. 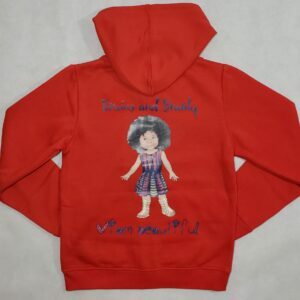 We offer 18 inch black dolls for sale and biracial dolls for sale, helping extend the love and friendship a doll can bring to girls from every culture. 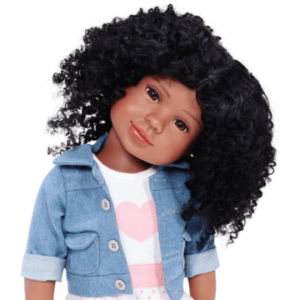 Every doll is designed with natural hair to help young girls embrace their own physical features and defeat unrealistic beauty standards. They represent strength, courage, and individuality. 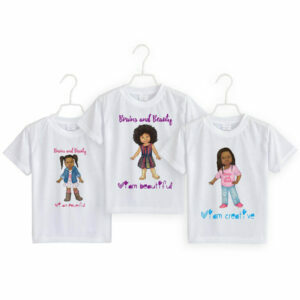 Our dolls are perfect for little girls of all ages, teaching them that their mind is a powerful tool. Each doll is equipped with inspiring phrases to help empower these little girls, encouraging them to embrace their personalities, intelligence, and personal power to embark on the great journey of following their dreams. These unique dolls bring joy, love, and confidence to every princess, offering a companion that will guide them as they grow. 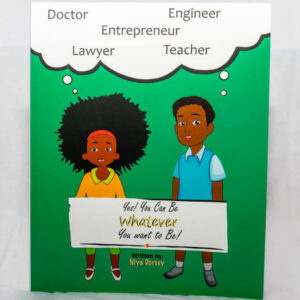 Book-You Can Be Whatever You Want To Be! 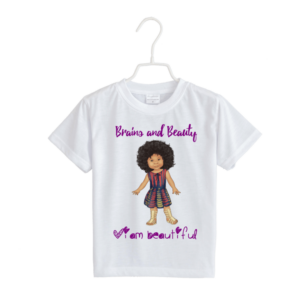 ©2018 Brains and Beauty Dolls. All Rights reserved.